The Insulator Spindle No.7, is double J shaped, carrying two insulators for vertically separated open wires. 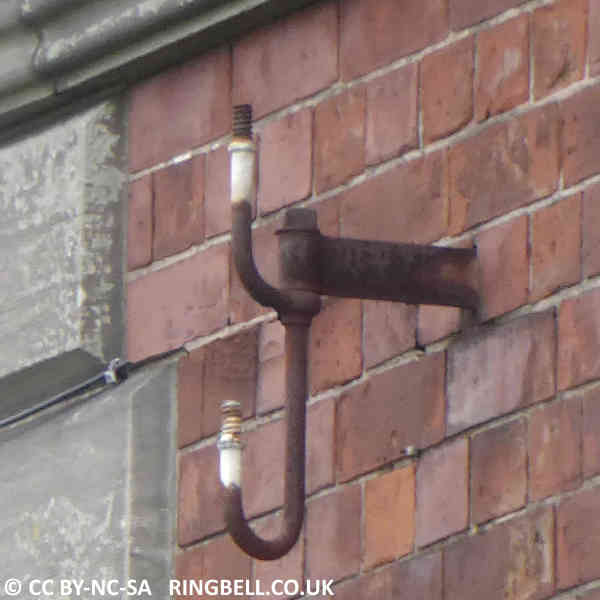 May be used on ring head pole tops or wall brackets. Seen here mounted on a wall spike. 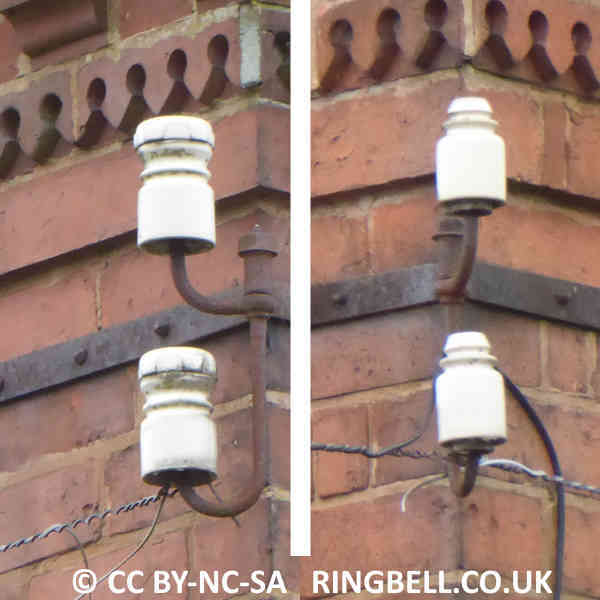 When fitted with insulators the wires are spaced 8½" apart and the insulator centres 2&frac78;" from the mounting point. There are two variants, differing only by the length of threaded section that passes through the bracket. Spindle No.7 is 1½" and Spindle No.7A has a 2" thread.